When I think of eating something healthy I immediately think of spinach. I don’t know if it is that I used to watch Popeye a lot or something else but for some reason, I have always loved the taste of spinach and always use it in a dish when I want to have a healthy meal. I don’t know if it’s the iron or the magnesium in it but it always seems to give a really nice energy kick whenever I eat it. 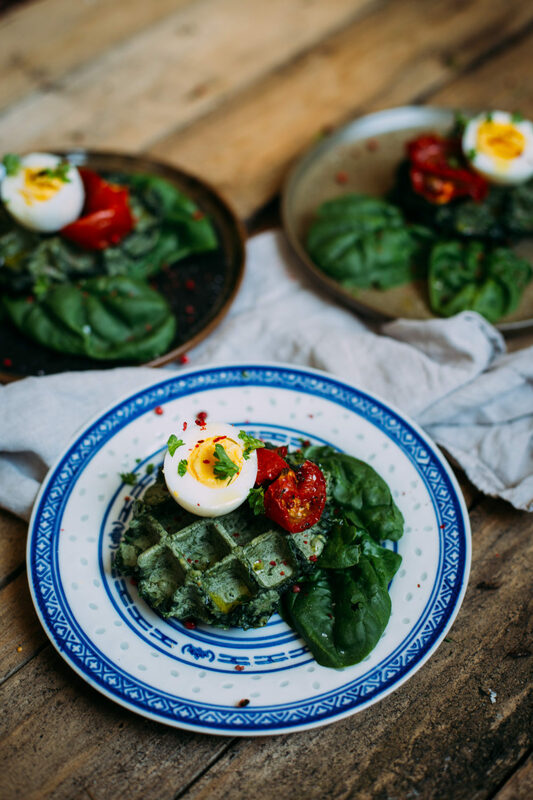 So for this waffle recipe, I decided to use lots of spinach combined with spirulina and oatmeal flour to create this dish. 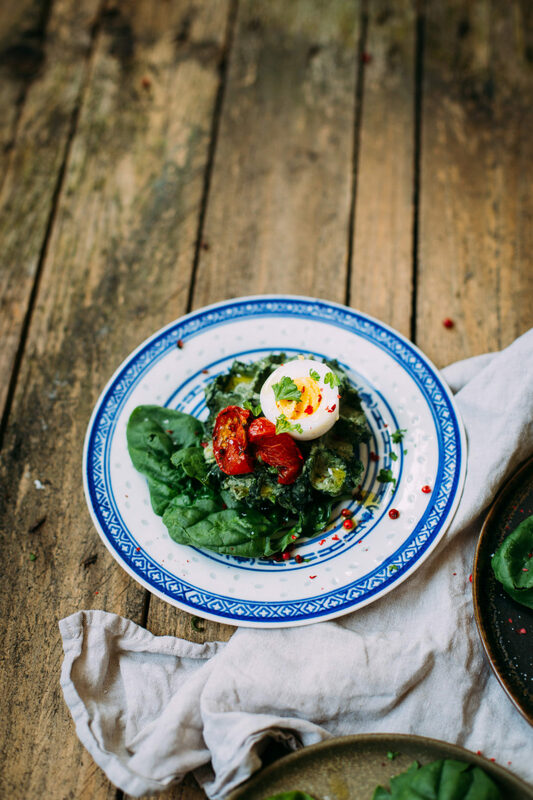 Serve it with something sweet and salty like dried tomatoes and a boiled (or cooked) egg and you’ve got a nice lunch or maybe even dinner done. In a bowl mix together the oatmeal flour, spinach, and spirulina. Add in the egg with the quark and mix until you get a firm dough. Heat up your waffle iron and bake a generous tablespoon of batter for one waffle. 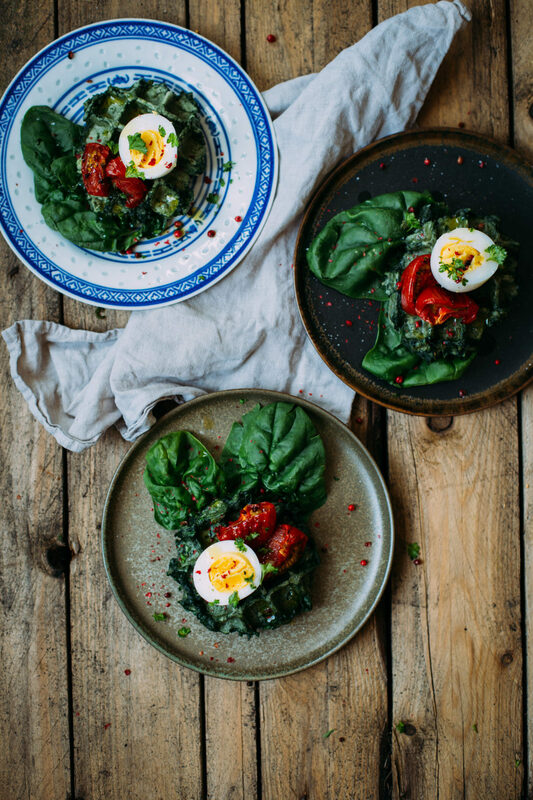 Serve the waffles with a boiled egg and some dried tomatoes. Enjoy!